A Blood Moon visible during a total lunar eclipse. Early tomorrow morning, a total lunar eclipse, or "blood moon," will grace the skies of much of Michigan. The eclipse itself will span several hours, though total lunar coverage, in which the moon takes on a reddish hue, will last only about five minutes. Lunar eclipses occur when the earth slides between the sun and moon, obstructing the light that normally illuminates our moon. For those viewing from Michigan, the eclipse will start at 5:00 am, with peak lunar coverage occurring at around 7:00 am. Unfortunately, for those in the Midwest, the lunar eclipse will not reach totality before it slips beneath the horizon. However, the farther north you are in Michigan, the more complete an eclipse that will be visible; for those as far as Marquette, most of the moon will be cast in a reddish glow. 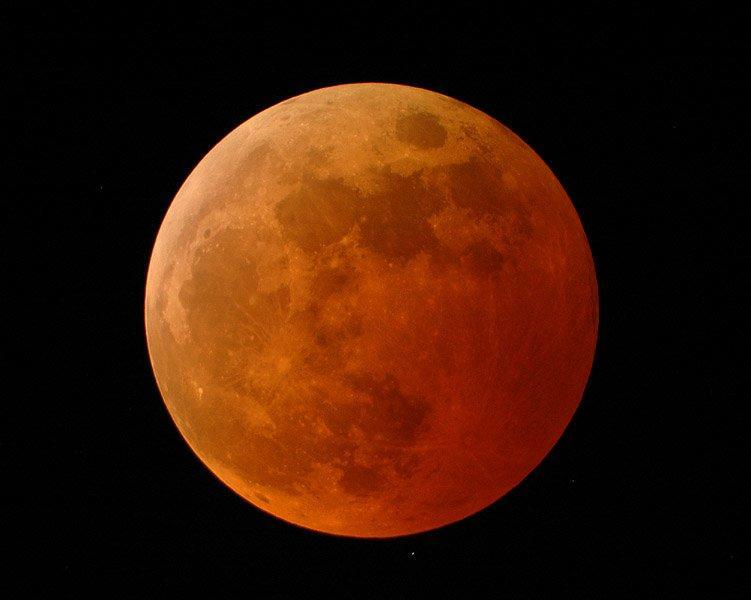 To discover the lunar eclipse timing and coverage for your specific city, check out this lunar eclipse tracker.